LIKE NEW WATERVIEW POOL HOME. Just remodeled with granite countertops, solid wood cabinets and all new kitchen and laundry appliances. There is also new COREtec Plus Premium flooring throughout home and new interior and exterior paint. The bathrooms have new tile, toilets and shower enclosures. All lighting fixtures are also new along with sinks and faucets. The roof and hot water heater are new in 2018 and the A/C was new in 2016. There is also a Jacuzzi tub in the Master bath and Pool pump was purchased in 2018. Did I mention all the windows and sliders are double pane thermal windows? 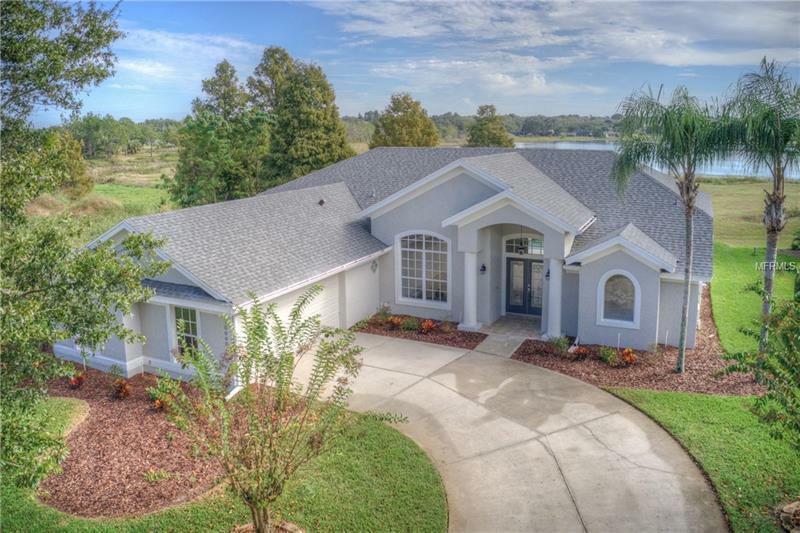 As an owner in this wonderful neighborhood you have access to a private boat ramp on Lake Minneola which is part of the chain of lakes. HOA dues also include access to a community pool and tennis courts. Additional Water Information: Clermont Chain of Lakes Access. Home has a view of Spring Lake.